THE VOICE of Appalachia will resonate through Tybee Post Theater this weekend. Singer-songwriter Malcolm Holcombe brings his timeless, Southern-steeped sound back to Savannah. The North Carolinian has spent his career capturing the character and cracks of his Blue Ridge Mountain home, spinning stories of callused hands, struggles, and seasoned experience with a warmly ragged voice and authentic, spellbinding poeticism. Born in Asheville and raised in Weaverville, North Carolina, Holcombe played as a member of several regional bands as a young man, shifting into a solo career later on. Later, he teamed up to perform in a trio with Ray Sisk and released an album, Trademark, in Sam Milner. The 1990s found Holcombe in Nashville; in 1996, after performing at countless open mic nights, he signed with Geffen Records. He released his debut record, A Hundred Lies, in 1999 through Hip-O Records. Over the years, he has released 13 total solo albums, composed for Jonah Smith and Jonathan Edwards, and contributed to several compilations. Throughout his career, Holcombe has shared the stage with performers like Merle Haggard, Leon Russell, Cat Power, Richard Thompson, Wilco, Shelby Lynne, and more. Currently, Holcombe is touring in support of his latest album, Pretty Little Troubles, released on April 7, 2017 through Gypsy Eyes Music. Holcombe entrusted Darrell Scott, a friend of around 27 years, to produce the record. A prolific singer-songwriter and member of Robert Plant’s Band of Joy, Scott offered a keen eye and trusted intuition for the project. Pretty Little Troubles unique, shadowy Americana is flush with banjo, violin, Celtic musings, and bluesy moments. A master storyteller, Holcombe creates a portrait of the hardships of his home over the album’s twelve tracks. Holcombe wrote the contents of Pretty Little Troubles over the course of a few months. He credits his wife with selecting the album’s centerpiece song as its title track. Holcombe looks forward to returning to Savannah, where he’ll take the stage with Jason Bible of The Train Wrecks. Savannah vocalist, songwriter, and band leader Danielle Hicks honors the music of legendary English jazz group Sade this weekend. With hits like “Smooth Operator,” “By Your Side,” “The Sweetest Taboo,” and “No Ordinary Love,” the music of vocalist Sade Adu is timeless, and Hicks will bring her own unique flavor to the familiar favorites. Hicks is joined by her band, The Resistance, for this one-of-a-kind performance. IF YOU missed Athens hero Randall Bramblett at the big Night Flight Café reunion back in May, don’t fear: he’s coming back! The treasured Southern songwriter brings his original sound and incredible band to the Tybee Post Theater stage this weekend. For 40 years, Bramblett has worked as a sideman, collaborator, and solo act to be reckoned with. The prolific artist releases his eleventh album, Juke Joint at the Edge of the World, this month via New West Records and will celebrate with a CD release party on Tybee. Bramblett gave fans a taste of the record’s sound with “Devil’s Haircut,” his unique, bluesy take on the signature Beck track. It’s the first time Bramblett’s released a cover song on a solo record, but the undercurrent of darkness and whimsical lyricism is a smart fit in his catalog. The multi-instrumentalist has said the new record is inspired by the soul and R&B music of his childhood. NATIONAL sensation and hometown favorites The Fabulous Equinox Orchestra are getting back to their roots! Louisiana natives Jeremy Davis and Clay Johnson will lead their dynamic band in a tribute to their home state tradition this weekend. The party kicks off with a VIP Mardi Gras gala complete with complimentary cocktails, Cajun hors d’oeuvres, naturally, king cake. Attendees are encouraged to arrive in Mardi Gras fashion—purple, green, gold, or parade-ready costumes are welcome. After the gala, head into the Theater to hear the best of the Great American Songbook as performed by the tremendously talented, always-entertaining Orchestra. CELEBRATE original Lowcountry songwriting with a stellar lineup of musicians, including two Savannah Songwriters Series veterans. Sarah Tollerson returns to the SSS circle. A Winder, Georgia native, Tollerson has received high praise and awards for her musical talents, earning the John Lennon Scholarship for Songwriting and the Berklee College of Music Performing Songwriter Award. Catch her while you can—the talented musician just announced that she and her husband are expecting their first child in September, and Sunday’s performance will be her last for a while. These days, you can catch Sarah Poole fronting alternative rock band Ember City, but she still shows off her acoustic, singer-songwriter side. She’ll belt it out solo on Sunday. Josh Johansson has been gigging and playing cover songs for about four years, but he’s just begun exploring his own songwriting talents. This is his SSS debut. Abe Partridge has led a colorful life: from theological education to time in the Air Force to roofing, his wealth of experience led him to write an album of original music, White Trash Lipstick, in 2015. In its sixth year of providing a one-of-a kind format for songwriters, the Savannah Songwriters Series is moving to the Tybee Post Theater. In its first year after reopening, the Post Theater has quickly become the a popular venue for live music. It created Tybee City Limits, a monthly showcase of live local bands and songwriters and has hosted numerous sold-out shows featuring a variety of musical genres from a Tribute to Bill Monroe and the Ladies of the Blues to the Gonzalo Bergara Quartet. Now, beginning April 3, the Post will present the monthly Savannah Songwriters monthly showcase of four songwriters in-the-round swapping songs and the stories behind them. Kicking off the new adventure will be none other than the founder of the SSS, Jefferson Ross. Joining him will be one of Savannah‘s long-time favorite songwriters, Jan Spillane. Rounding out the foursome will be Tim Malchak making his SSS debut, and Tybee’s own balladeer Thomas Oliver. Southern folk artist, Jefferson Ross, is a songwriter, singer, guitar slinger and painter weaving stories for the ears and the eyes. Now living in Atlanta, Jefferson travels throughout the U.S. and Europe performing his original music and sharing his art. Jefferson lived from years in Nashville playing for a number recording artists including, Terri Clark, and sharing the stage with Country Music greats such as George Strait, Toby Keith, Reba and Vince Gill. He worked as a staff writer for a number of publishers on Music Row including Curb Music. In 2010, he moved his young family to Savannah, where he helped create the Savannah Songwriters Series, Three years later, he and his family moved to Atlanta. He maintains a home and office in Nashville as well. She’s been traveling to Nashville for the past 25 years and has written, recorded, and performed with some of Nashville’s Who’s Who. To date, she’s released four CD’s, three singles, two videos and in late spring of 2016, her CD, “Blue Canvas” will be released. Some of her credits include: “If Looks Could Kill” which was licensed for a promo on Showtime Cable Networks popular series, “The L Word.” She’s had a single song contract with Ah Ha Music Group for the song, “What it’s Not” and co-written with legendary singer/songwriter, Wood Newton. From the peace, love, and rock & roll days of the 1960’s to the infectious trend of Americana, Jan creates a passionate and soulful, yet hypnotizing and energetic sound. A veteran of 40 years in the music business, singer/songwriter Tim Malchak has persevered through many victories and failures. Many of those experiences shine through in his music. Tim has recorded a total of 14 albums including seven Christian CD’s. As an international and award-winning recording artist in Nashville during the 1908s, Tim first came to be known in the music industry during that time with a string of Top 40 hit singles in Billboard’s Country Music Charts. Songs like his self-penned “Colorado Moon” and “Restless Angel” helped to establish him as a gifted and influential singer/songwriter. Later, in 1987 he was honored by Billboard Magazine as one of the Top Ten New Country Artists of that year. In 1988 he signed a major label record deal with MCA/Universal Records and in May of 1989 his critically acclaimed album “Different Circles” was released. During that time he shared the stage with country legends such as of Vince Gill, Alison Krause, Kenny Rogers, Emmylou Harris, Barbara Mandrell, Willie Nelson, and the list goes on. In 1993 Tim appeared on Farm Aid VI in Ames Iowa that was viewed by over 200 million viewers on TNN. A survivor of a 26-year addiction, Tim is now 21 years drug free. His career is now centered in church. He is a worship leader at Calvary Baptist Temple in Savannah. Thomas is a producer of the Savannah Songwriters Series, now in its sixth year of showcasing local songwriters, with the occasional touring artist’s appearance. He also MCs Tybee City Limits. It’s been more than four decades since Huxsie Scott first took the stage belting out blues to an adoring crowd, and for her, it’s still a dream job. The Savannah legend said her musical influences have always leaned to the blues, colored in a bit of gospel. Scott will tell the stories of love on Feb. 13 at Tybee Post Theater during a Valentine’s Day-themed concert coined “Ladies of the Blues.” This is the first of a three-part blues concert series and will feature Scott and another local songstress, Danielle Hicks. The pair, both originally from Georgia, represents two generations of the blues: Scott as one of the leading names in female blues in the South, and Hicks with a newer adaptation of the genre. The musical showcase will honor the classic as well with its talent and simplicity. Set in cabaret style, the vocalists take center stage accompanied by pianist Jared Hall. This arrangement, void of theatrics, allows the audience to focus solely on the music, and with Hicks’ sultry vocals complementing Scott’s signature soul, is sure to be a diverse performance. Ricardo Ochoa, music programing director for Tybee Post Theater, said the intimate setting, with less than 200 seats available, would add to the experience. The blues, like the other great American music forms — jazz, country, zydeco — was born in the South and then exported to places like St. Louis and Chicago, where it expanded and developed its own sound. But the theme is always the same, Hicks said. Pre-game for Valentine’s with an evening of blues from two of Savannah’s finest vocalists, Huxsie Scott and Danielle Hicks. Each represent a different generation of Savannah blues and are famous ’round these parts for pouring soul, passion, and stunning chops into their set. Huxsie “The Golden Voice” Scott is a local legend, known as one of the greatest jazz/blues artists to ever represent the Lowcountry. Scott was the original vocalist for the Savannah Jazz Orchestra and acted as the great Ben Tucker’s featured vocalist for many years; she’s performed with numerous jazz ensembles and symphony orchestras since 1973. 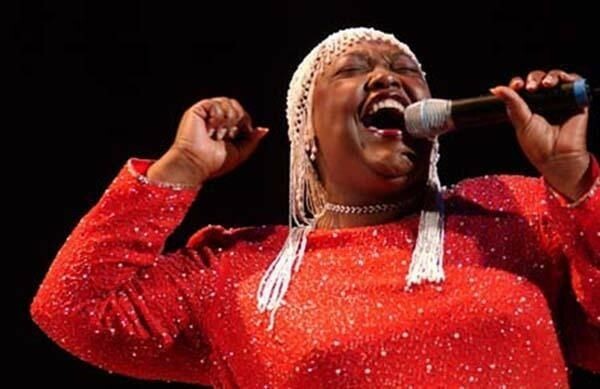 Among her many career highlights, Scott sang the title song in the 1996 Olympics, placed in the American Traditions Competition, and has been inducted into the Savannah Tribune Gospel Hall of Fame as well as Coastal Jazz Association’s Hall of Fame. Hicks is a native of Tifton, Georgia; after graduating top of her high school class, she headed north to attend the American Musical and Dramatic Academy on scholarship for acting, singing, and dancing. 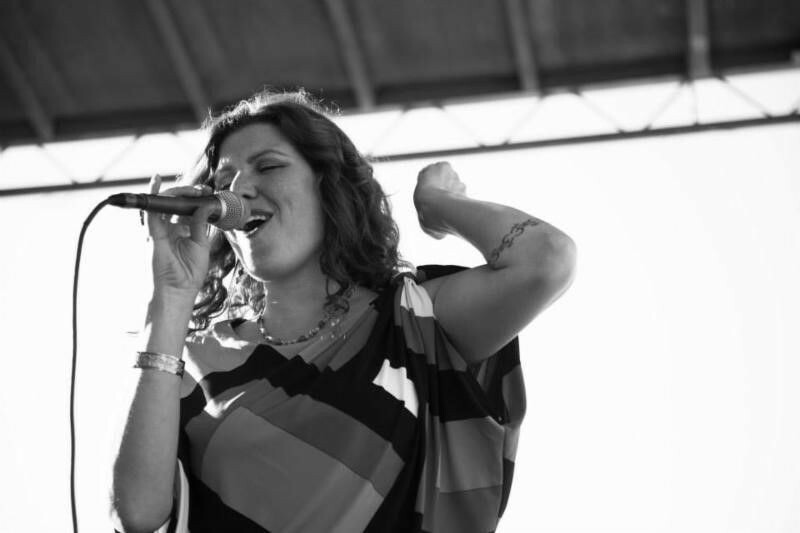 New York City was home for nine years, but Hicks found her way back to Georgia and is happily settled in Savannah, where you can catch her at all manner of venues many nights of the week. Accompanied by piano man Jared Hall, the ladies will offer their takes on classic American blues from Etta James to Janis Joplin to Bessie Smith. With a fitting Valentine’s theme, it’s a perfect warmup to February 14. In the first of a special jazz series, we present the Gonzalo Bergara Quartet performing a fresh take on Gypsy Jazz and Argentine music. 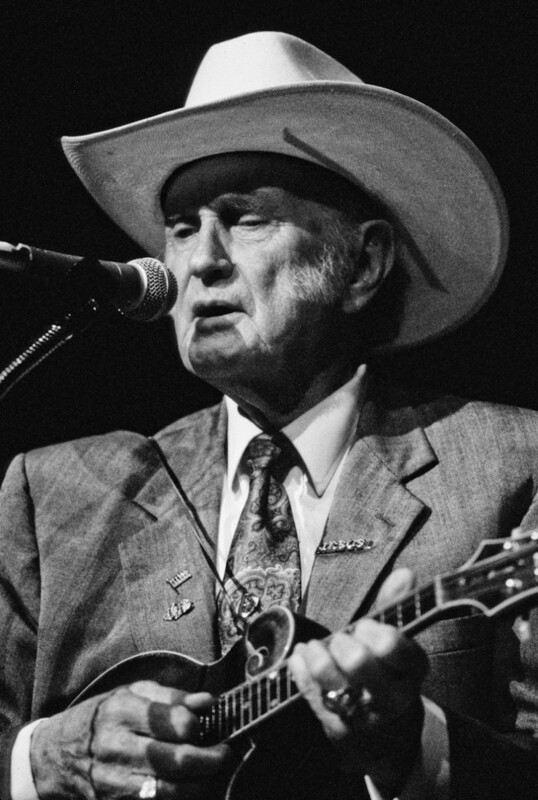 IF YOU thank your lucky stars for clawhammer pickin’, freight-train-rapid mandolin, and the mellifluous sounds of Appalachia, praise Bill Monroe. On Friday, the Tybee Post Theater will pay tribute to the Father of Bluegrass himself in an evening of music and oral history. Atlanta’s New South String Band leads the production with selections from Monroe’s expansive catalog and stories of the legend’s life and legacy. 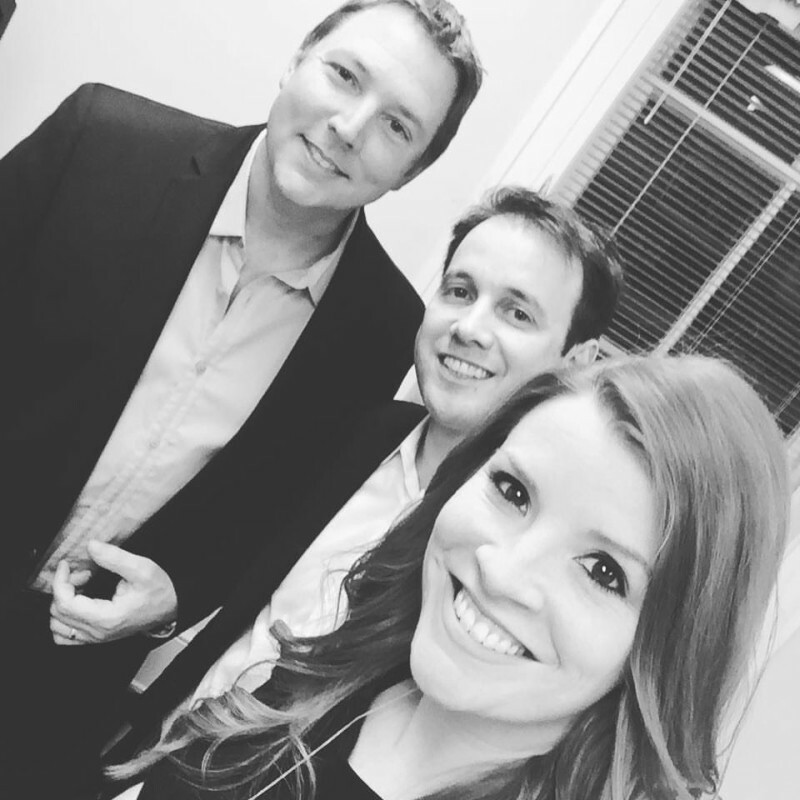 Comprised of fiddle player Kenny Lambert, guitarist, banjoist, and vocalist Brian Stephens, clog dancer and bassist Maggie Aderhold Stephens and bluegrass pioneer Joel Aderhold, New South String Band is a troupe of champions who have scooped up many esteemed awards for their talents. 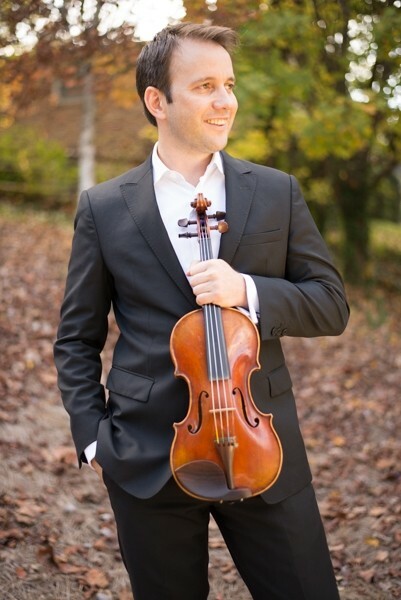 Lambert began his musical life on the fiddle and has enjoyed success as a symphonic violinist, touring with the likes of Yo Yo Ma, Robin Thicke, Casting Crowns, Wynnona Judd. He holds the 2012 Georgia Mountain Fiddle King crown from the Georgia State Championship fiddle contest, and is first violinist in the Savannah Philharmonic and Greenville Symphony Orchestra. Brian Stephens has certainly racked up recognition at Georgia Official State Fiddlers’ Convention, taking home First Place honors in Mandolin, Banjo, Guitar – Finger Style, and Second Place in Guitar – Flat Pick. Maggie Aderhold Stephens grew up with Georgia bluegrass and currently is a mainstay at Suwanee’s Everett Music Barn, where she and husband Brian perform together on Saturday nights. Tybee Post Theater Music Programming Director Ricardo Ochoa predicts that the New Year will be filled with memories and loving tributes to Monroe’s legacy. “It will be twenty years since his passing in 2016,” he notes. Picking up the mandolin at the young age of 10, Monroe got his live performance start while playing guitar in his fiddler uncle’s band. Monroe formed a group with his brothers Birch and Charlie when he was 18, playing for evening barn dances after getting off work at the Sinclair Oil refinery. The Monroe Brothers toured, signed on to RCA-Victor’s Bluebird division to record in 1936, and scored a minor hit, “What Would You Give in Exchange,” before members went separate ways to form new groups. After a brief stint in Little Rock, Bill headed to Atlanta, where he formed his seminal group. The Blue Grass Boys is the reason we have the term “bluegrass” today; Monroe himself invented a genre characterized by tight harmonies, quick tempos, and incredible musical precision that would change music forever. Guitarist/vocalist Lester Flatt, banjoist Earl Scruggs, fiddler Chubby Wise, bassist Howard Watts, and Monroe comprised the “classic” Blue Grass Boys lineup that recorded with Monroe in 1945. With mandolin as a centerpiece, Monroe and his Blue Grass Playboys developed a hard-driving string band style; they hit the charts for the first time in 1946 with “Kentucky Waltz.” “Footprints in the Snow” followed, clocking in at Number Five on the charts. Though Tybee’s tribute may not take place beneath Monroe’s classic circus-style tent, the Tybee Post Theater is a magical setting, perfect for a journey into the mind of a great American artist. Amidst the earthy scent of fresh-laid brick, handsome rows of stadium seats (originally from Trustees Theater), and a large American flag backdrop, the charming auditorium has a coziness and intimacy that’s perfectly suited for acoustic music. If you’ve ever seen Ochoa’s gypsy jazz band Velvet Caravan, you probably are familiar with the group’s deep admiration for gypsy jazz pioneer guitarist Django Reinhardt; when they cover his songs, Ochoa and the Velvet Caravan boys often tell stories to contextualize the work. Naturally, Ochoa is very excited for Monroe devotees Lambert and Stephens to share their wealth of knowledge on Monroe’s life. This is a key moment for the resurrection of old-time, bluegrass, and traditional music. In a fast-paced, multi-tasking, screen-glow world, Ochoa thinks music lovers are searching for a certain kind of authenticity in their concert-going. “More people are looking for an intimate setting and are getting away from the arena sound,” he observes. An evening of mountain music by the sea? It doesn’t get much further from the arena than that.